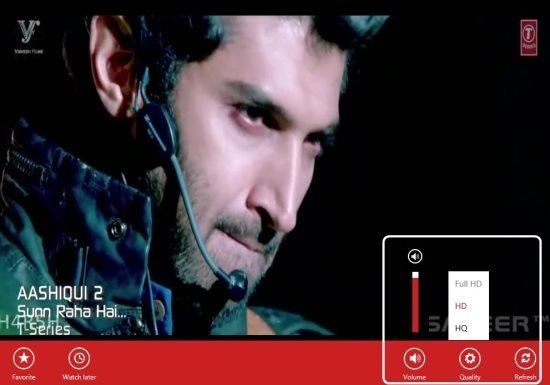 Metrotube is a free Windows 8 YouTube app available under “Music & Video” app of its App Store. 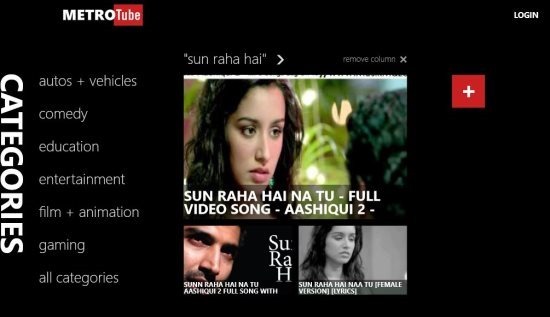 This YouTube app for Windows 8 lets you watch videos on YouTube for free. The app is just simple and easy to use. You can easily search any video and play it online on YouTube. Also, this Windows 8 YouTube app allows you to login with your Google account and manage your YouTube video library with ease. You can watch the videos according to the categories which include comedy, education, entertainment, gaming, and much more. Just select any category and the app will give you the list of related videos from YouTube. Well, this Windows 8 YouTube app works awesome by providing almost all the options which you find on YouTube page when you browse it on your browser. After logging with your YouTube account, you can easily select the videos to watch them later. Also, add videos as your favorites, upload new videos, and watch recently played video just like you do on official YouTube page on your web browser. One of the best part of this Metrotube Windows 8 app is that, it also shows the list of all the related videos which you are watching. This feature of the app is similar to the YouTube page on webpage. The missing part of this Windows 8 YouTube app is that, the video player does not allow you to adjust the video quality on small screen. You can only adjust the video quality when the video is being played on full-screen mode. Also, the video player does not allow you to increase or decrease the volume until it is played on full-screen mode. Apart from all this, the Metrotube Windows 8 app lets you check the like, dislikes, and comments same as you find on official YouTube page. By the way I liked everything about this Windows 8 YouTube, but most of the times there is one thing in everything that proves to be most attracting and lovable. The feature which I like the most is adding the video thumbnail on the app homepage. Just search a video and add the same on the app homepage in thumbnail view which makes it easy for you to watch the same video later with one click without searching it. Watch unlimited YouTube videos on your Windows 8 PC without accessing your web browser. Login with your Google account and manage your YouTube video library with ease. Watch video according to categories. Add video thumbnail on the app homepage. Add videos to favorites and watch cart. Upload new videos to YouTube. Displays all the video information which include comments, like, and dislikes. Adjust video quality and volume from within the video player. To download Metrotube app, just head to your Windows 8 App Store and search for “Metrotube” app. Now, click on install button and get ready to enjoy the app. You can also download the app from here. 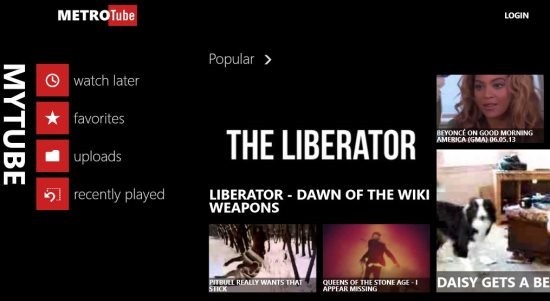 Before folding up this article, I would just say that if anyone is searching for an app to manage YouTube videos, then he/she might not find better app than this Metrotube app. I love the fact that you can manage your YouTube video library by logging to your YouTube account. Just install this awesome YouTube app and enjoy watching YouTube videos on your Windows 8 PC.